After missing out in Australia, the reigning Champion returned to top spot in Thailand. 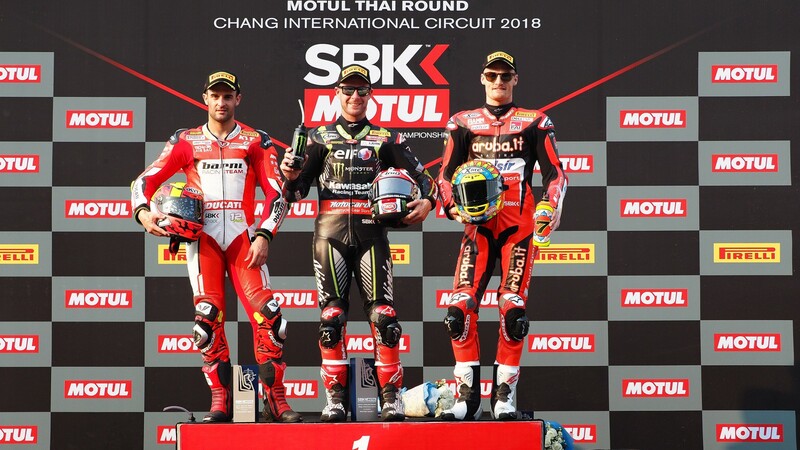 Jonathan Rea (Kawasaki Racing Team WorldSBK) took an excellent victory in Race One of the Motul Thai Round, continuing a dominant weekend that has now seen him take pole position, a race win and fastest lap. 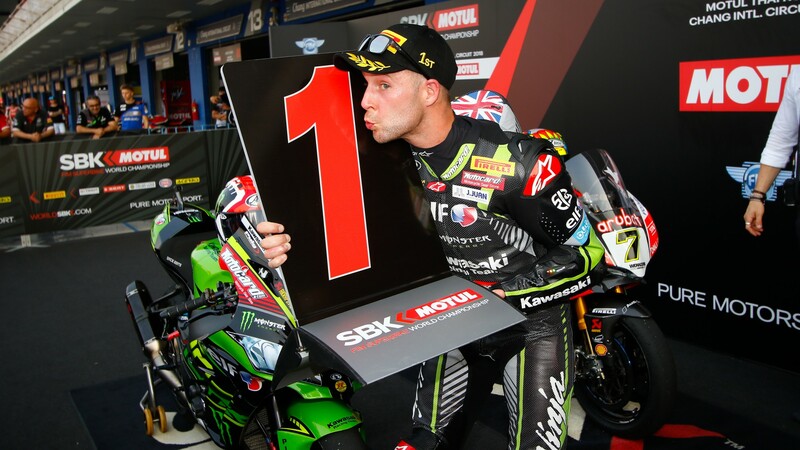 The 3-times World Champion certainly didn´t have things all his own way, with Tom Sykes (Kawasaki Racing Team WorldSBK), who was narrowly pipped for pole position in Superpole 1, twice overhauling his teammate to hit the front. But when Rea finally repaid the compliment he was able to stretch away and then manage his advantage to the finish. Sykes, meanwhile, dropped gradually backwards as the race went on. 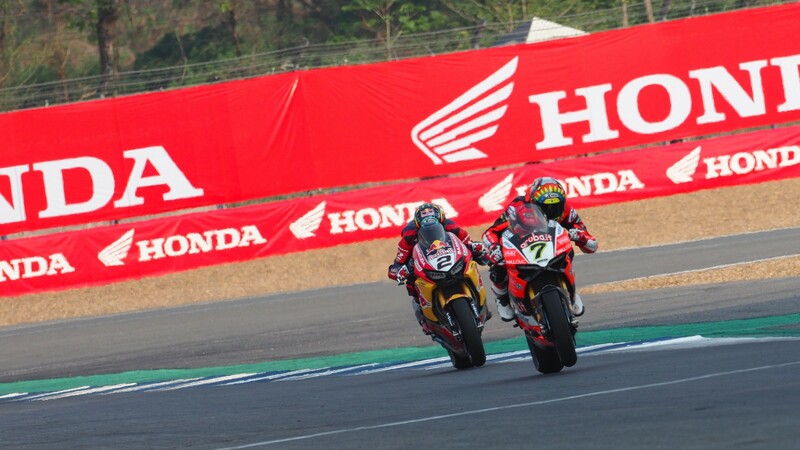 He was unfortunate to slip from third to first as Rea took command at the front of the peleton, Leon Camier (Red Bull Honda World Superbike Team) coming through and running second for some time, and Sykes eventually only able to manage sixth. 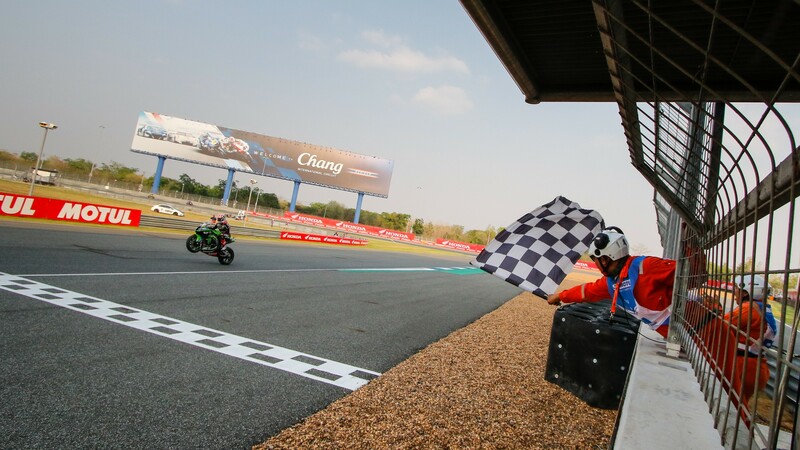 Camier, meanwhile, was one of the stars of the show, as he put in a masterclass in defensive riding and for some time looked set to end a barren run with a first podium finish since 2013. 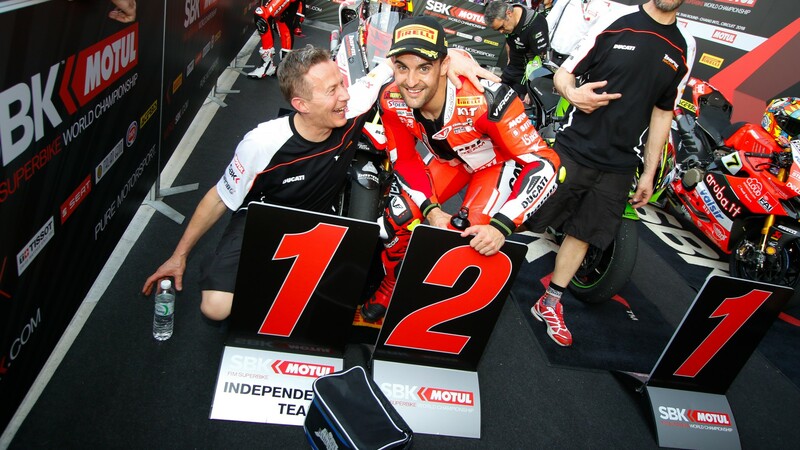 In the end he lost out to Chaz Davies (Aruba.it Racing - Ducati), who made a perfect block pass for his second podium of the campaign. But Camier, with fourth position, has the consolation of pole start when the grid positions are re-set for tomorrow´s Race Two. 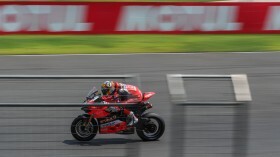 After a disappointing Tissot Superpole performance and fall, Australia´s double winner Marco Melandri (Aruba.it Racing - Ducati) rose to fifth position by the end of the opening lap but steadily dropped back to eighth despite showing inconsistently strong pace. 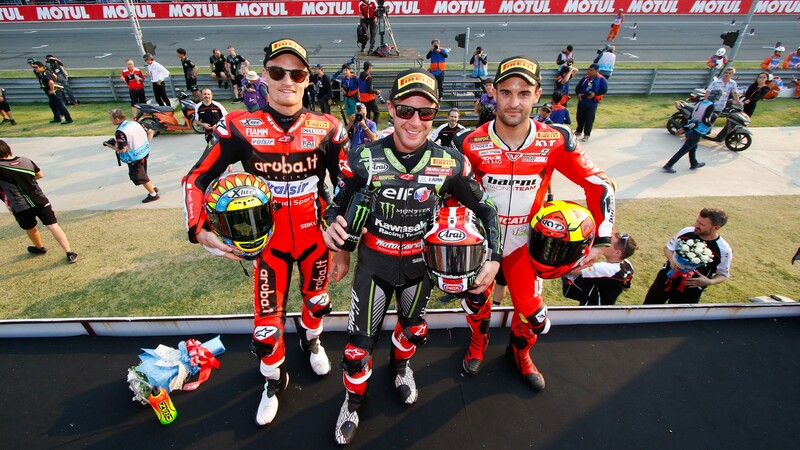 Victory for Jonathan Rea means Melandri retains the Championship lead, but the Italian´s advantage is cut to just two points. Meanwhile Xavi Fores (Barni Racing Team), with an excellent runner-up result, moves above Tom Sykes and into third position in the series overall. 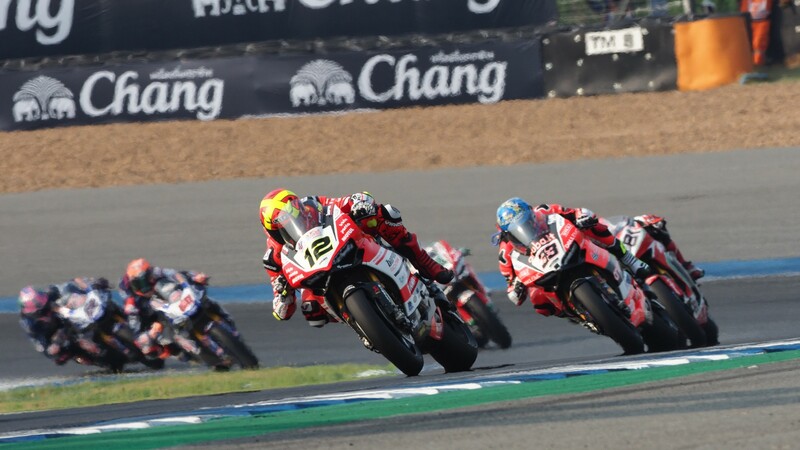 The independent runner passed Sykes on the track into turn three for a provisional place on the race podium, and picked off Leon Camier on lap twelve to secure his best result in 69 starts. Meanwhile the line-up´s other main Spaniard, Jordi Torres (MV Agusta Reparto Corse), faded quickly after a strong qualifying, ran wide and off the circuit whilst seventh and was later passed on the penultimate lap for ninth by Eugene Laverty (Milwaukee Aprilia). With the top ten separated by just eleven seconds in Race One, and plenty of change in the rankings compared to results last time out in Australia, Race Two promises to be a similarly entertaining affair. 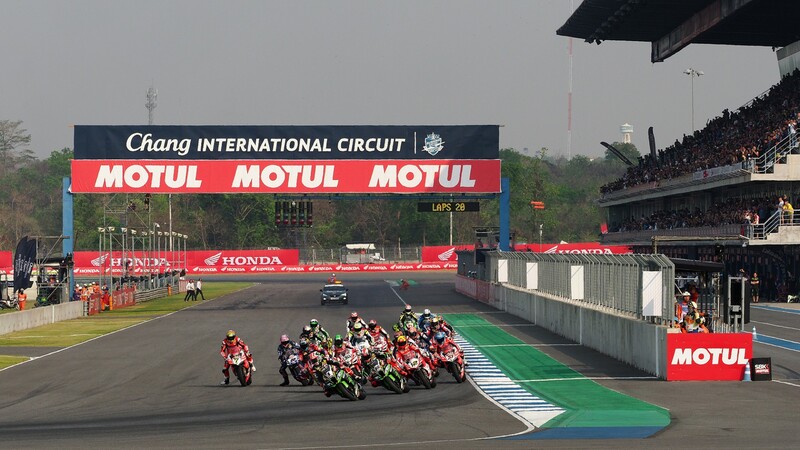 Tune in to all of the #THAIWorldSBK action, including Race One from the Chang International Circuit, on the WorldSBK VideoPass. 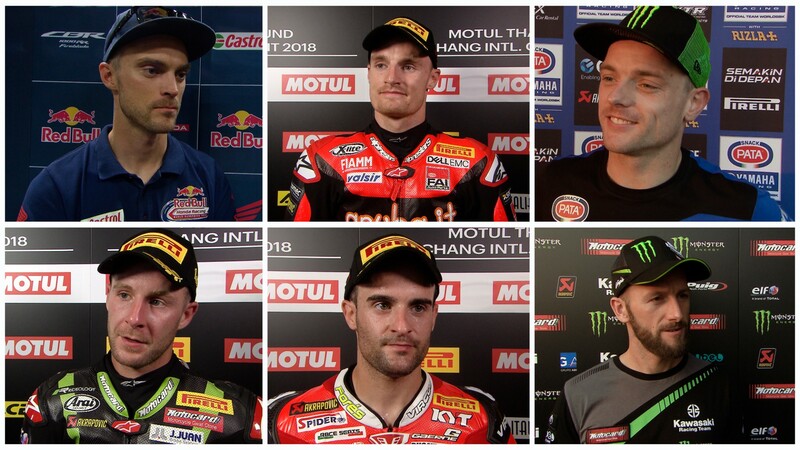 Chaz Davies becomes the third different winner in four 2018 races. 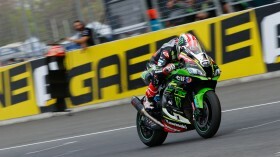 Jonathan Rea seized Tissot Superpole by just three thousandths of a second.